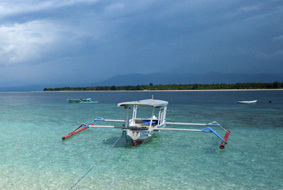 For your Robinson Crusoe desert island paradise experience, travel no further than Gili Meno. 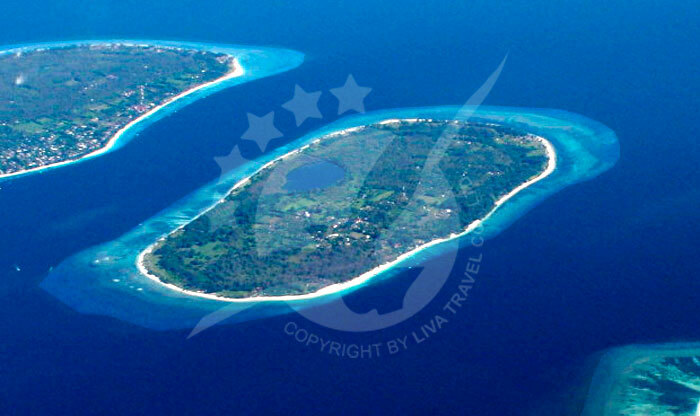 This beautiful little island is sandwiched in between Gili Air and Gili Trawangan, and hosts only about 400 locals who must be envied by many city dwellers! 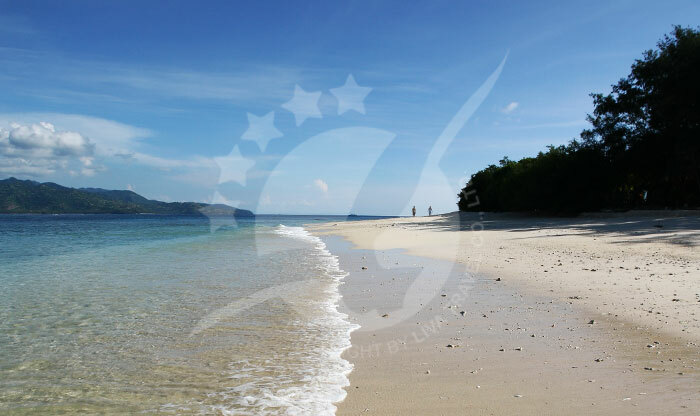 The island is truly amazing, and just what you would imagine a peaceful island to be like; soft white sandy beaches (the best of the three Gilis), crystalline tropical waters teaming with colorful fish and coral nearby. As islands go, this is as accessible and dreamy as a Southeast Asian island gets, and definitely one for the photo album and travel journal. There is something so very special about submerging into the warm tropical sea when you are residing on this most remote castaway island. As nature embraces you and you lay face up, floating and drifting, the mind simply rests and all is well, the escape to paradise is worth every second! 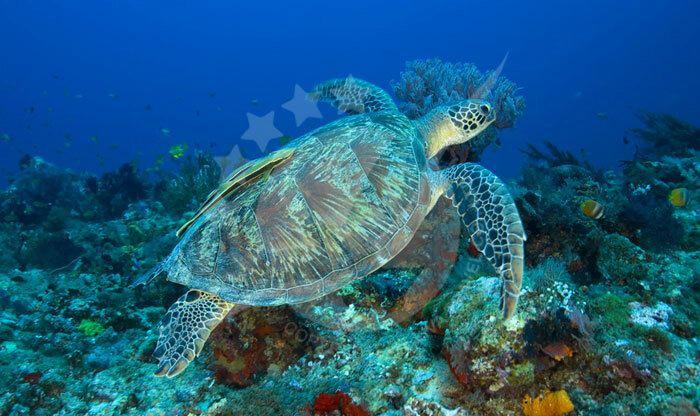 There's wonderful snorkelling just in front of Adeng-Adeng in the northwest of Gili Meno, where it's quite probable that you will get to meet some local Green, Leatherback, and Hawksbill turtles. 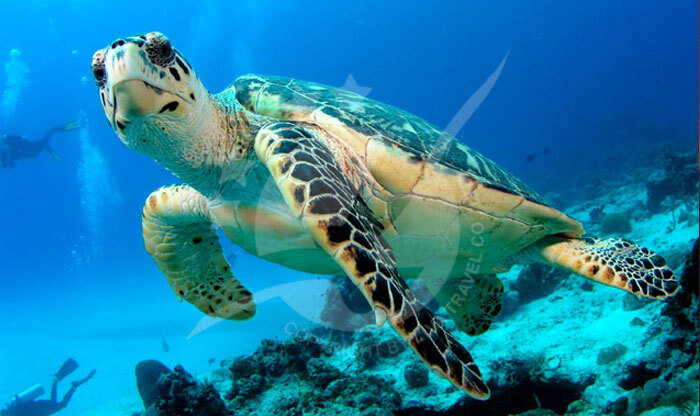 They are so ungainly on land, but in the water they transform into fascinatingly graceful swimmers, just a joy to see, and one huge reason to head for the warm waters of Gili Meno! 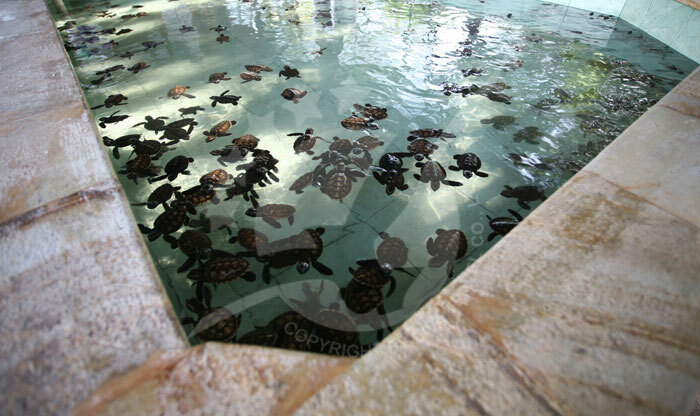 Also, head for the area that used to host the Bounty Resort in the west of Meno, and swim out to where an old sunken pontoon has become a little playground for some nice varieties of tropical fish. 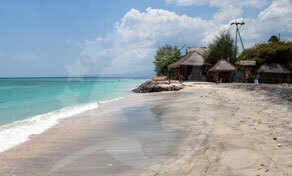 It's pretty dry inland on Gili Meno, but is well worth exploring while you are there. Many a small home and chalet can be found inside the spreading coconut groves. 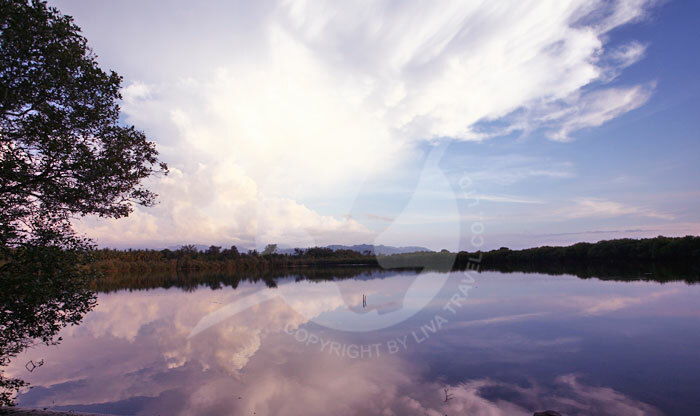 In the middle, you can discover a salt lake, where the local people still frequently harvest their natural salt, though on a relatively small scale. The lake can get quite dry in the summer, but when the warm rains fall it can soon fill up again. The locals have dug a small network of canals inland to make sure that when the rains fall, the land doesn't get too marshy. In their inventiveness, some have created private dining pavillions and quaint little gardens next to the canals. 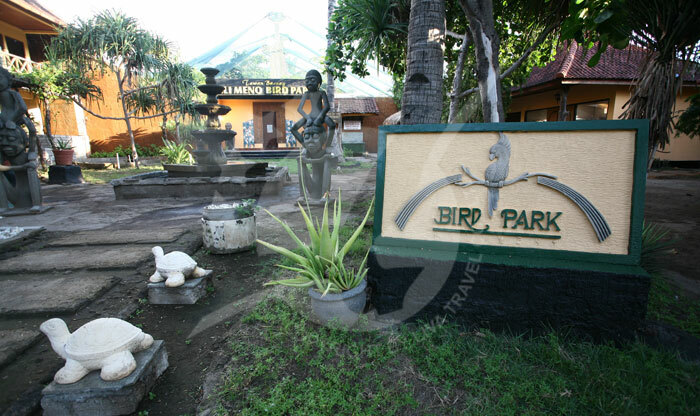 Additionally, on the main track inland from the western coast, you'll find the 'Gili Meno Bird Park', which has become home to some attractive species of tropical birds and some interesting local animals also. 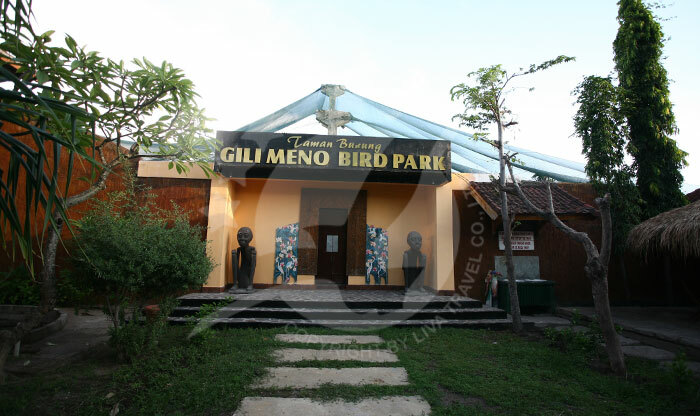 Although there are a few upmarket villas, there are no main resorts yet on Gili Meno, and what is already here is low key and subtely constructed, blending in with the landscape. 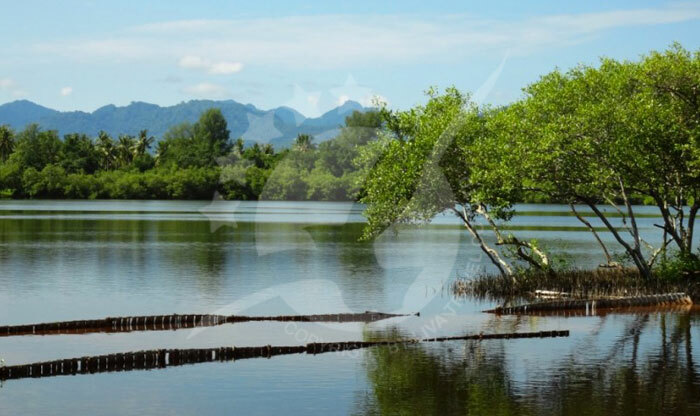 Preserving the beauty and serenity of the island is fortunately the aim of the development, and so all is built upon environmentally and ecologically sound concepts. 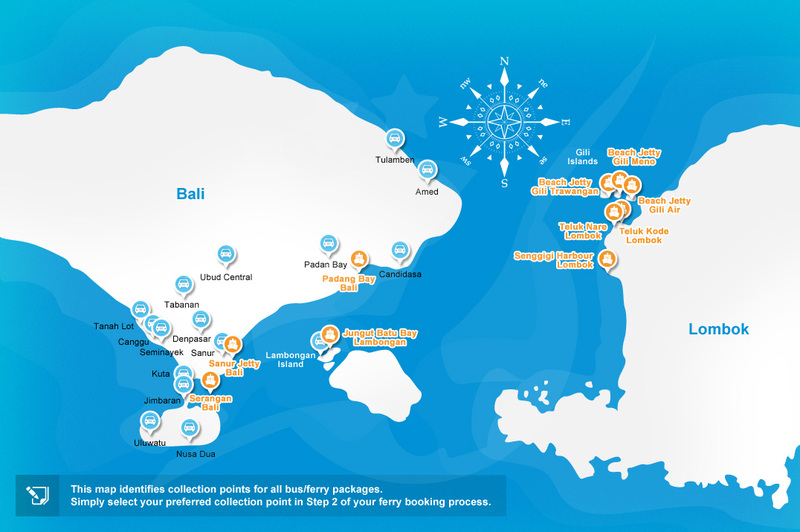 This being so, your accommodation is likely to be a small hotel or basic wooden beachside bungalow, and that is totally fine. 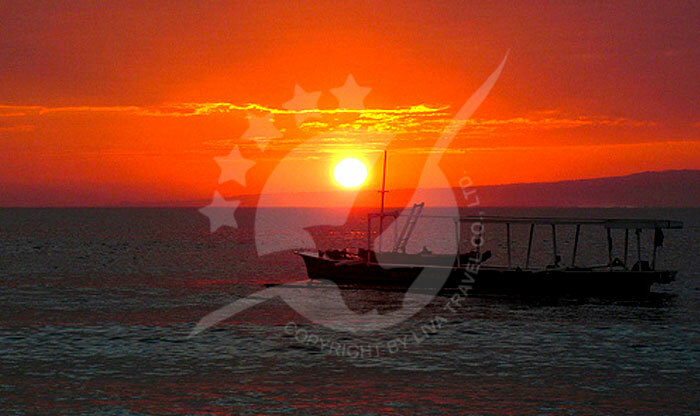 Nothing to detract from the desert island feel, there is still that subtle encouragement to spend your nights under a cathedral of stars and your days on soft white sands, sheltered under Cemara (Casuarina) trees with a refreshing drink in one hand and a holiday journal in the other. As you might expect, eating and drinking is a chilled-out affair that's just right for those on a romantic escape or a desert island getaway. 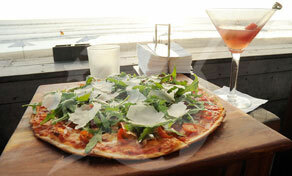 Casual beachfront cafes and bars will serve up both Indonesian and western flavours, from Nasi Goreng to fresh barbequed fish and wood-fired pizza. The best thing about these beachside diners is that they light up the candles at night and bring out a selection of fish and seafood for you to choose. They'll then grill while you chill on the sands under the night sky to the sounds of the waves lapping up onto the shore. 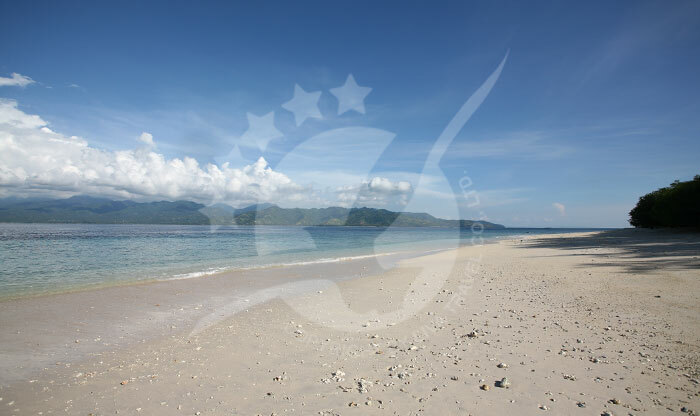 Locals are likely to bring a guitar and play you a little reggae and soul music as you eat and take in the ambience and reflect upon your days in the Gili Meno sun. Tomorrow's just a peaceful night's sleep away.